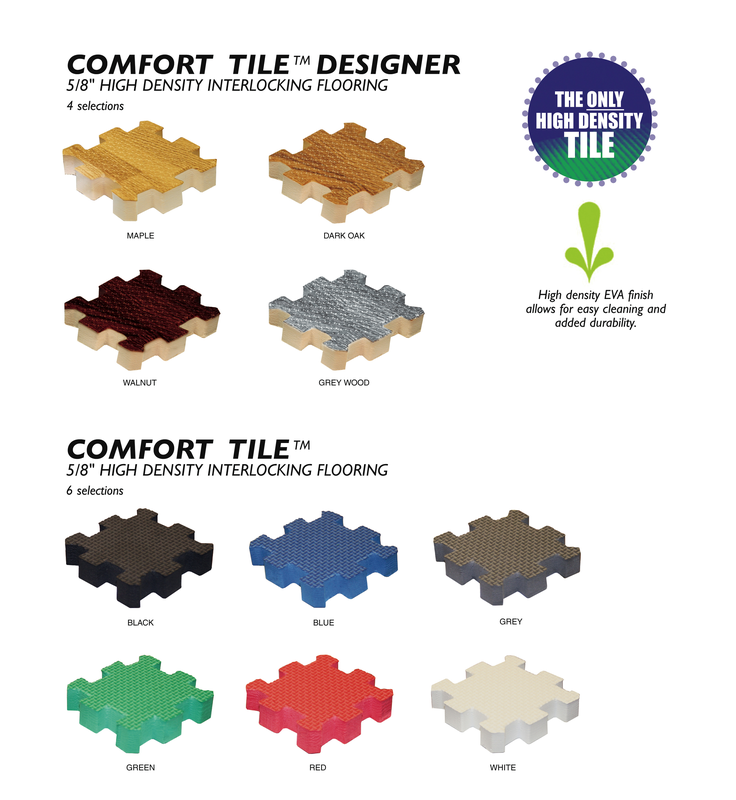 Comfort Tile is the most durable smooth trade show tile available. Its 5/8" thick and made from high density foam so it can hold up for years of rugged use. The finish is smooth and has texture to increase traction. There are multiple colors available so you can match the color theme in your booth. Trade show flooring is a great option for any company that goes to trade shows. Most trade show conventions rent trade show flooring, but the cost is usually more than it costs to purchase it. With our high density flooring you can purchase your own flooring and bring down your show costs because it will last for many shows. The manufacturer's warranty on Comfort Tile is 1 year and protects against any manufacturing defects. Be careful of flooring that claims to have a lifetime warranty or will last a lifetime, there is no trade show flooring product that is guaranteed from the manufacturer to last a lifetime. Comfort Tile is rated as the highest quality trade show tile on the market and will last longer than any similar product. If you are using truss displays, pop up displays, or banners stands, trade show flooring works great for trade show displays of any size or shape!